65cm X 54cm, Oil on paper on canvas. Knapp studied in Tuebingen and became headmaster of the Wieland- Gymnasium (school) in Biberach where he taught since 1914. 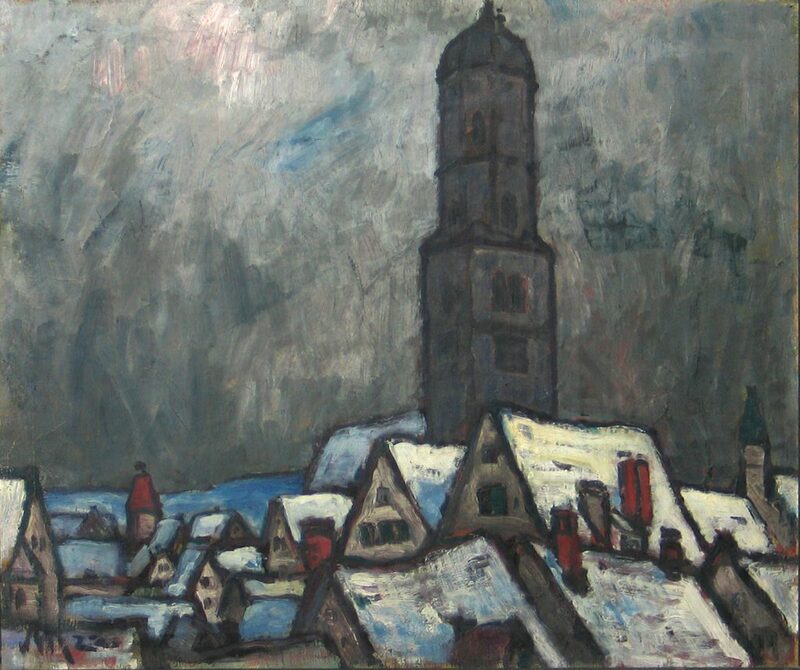 In 1963 a retrospective of his work was shown at the Museum Biberach. Another painting with the similar topic is known in a private collection in Germany.